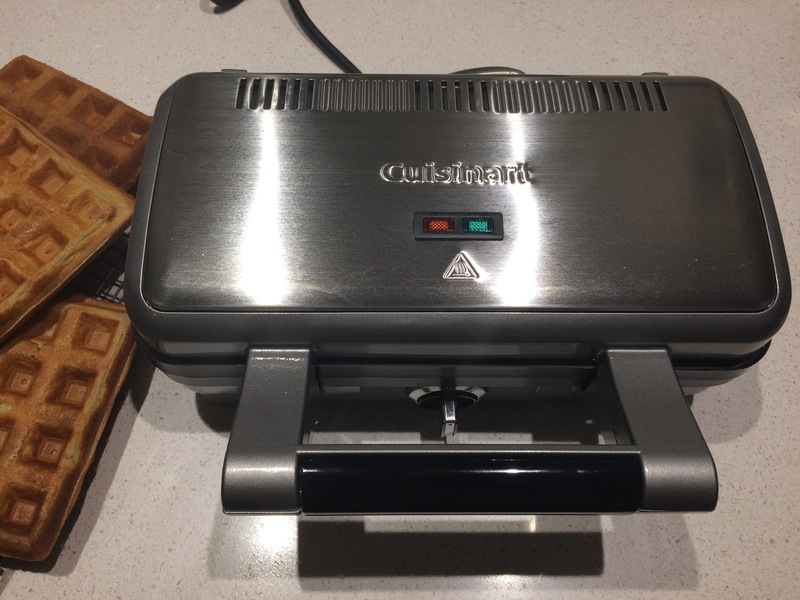 My waffle maker is this Cuisinart one that makes two square waffles at a time. I can’t give the lowdown on any other machines as mine was a gift so I didn’t do the research myself. But I’m very happy with it. It’s easy to use and easy to clean, as the irons can go in the dishwasher. 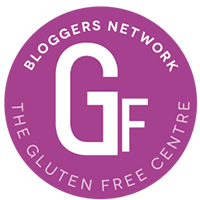 The challenge is to find a healthy, gluten free recipe that doesn’t contain too much sugar. That way it doesn’t seem so bad that the boys want to fill all the holes with maple syrup and jam! I’ve been trying out this recipe from cookieandkate.com, which uses oat flour. I’ve listed below the ingredients to make eight waffles, as once you’ve heated the iron up, it’s easy to just keep making them. The original recipe has maple syrup too – 4 tbsp for this quantity – but I’ve made them without so far with good results. It’s a really simple recipe: You measure out the wet and dry ingredients separately then combine in one bowl. It’s important to sieve the flour so it doesn’t all clump together. And I’ve also had to microwave the wet ingredients for a few seconds because the butter solidified a bit when I spooned it into the cold milk and eggs. Once mixed, I spent quite a while using a wooden spoon to get rid of all the lumps. Then about ten mins or so to let the mixture rest while the waffle iron heats up, which is important. My waffle iron takes one full ladle of mixture per waffle and this mixture makes exactly eight waffles. The waffles cook in my iron in about seven minutes. They are very pleasing to make as you just pick the freshly cooked waffle out of the iron and pour in the next ladle of mixture. Hardly any mess and when they’re hot they have a lovely vanilla smell. If you’re lucky, a little bit spills out of the main waffle shape, and you get to snap it off for a sneaky bite! 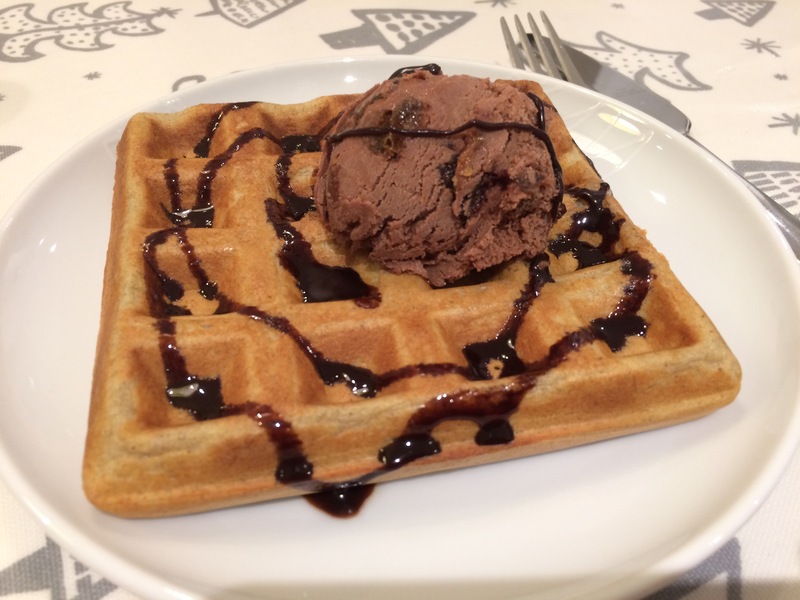 We enjoyed our first batch of waffles as a pudding, using up the last of my Christmas ice cream. (One for a future post, maybe…) It was absolutely delicious with a really great texture, after a few attempts to get the cooking time right! The waffles freeze very well. I put them in a bag, separated with greaseproof paper, and when required, cooked them from frozen under the grill. That makes for a fairly quick, filling breakfast. I think the waffles might do well with savoury toppings like egg and beans after being grilled from frozen, as grilling gives them a bit more bite. We tried them with egg and beans straight from the iron and they lost their substance a bit. Tags: gluten free recipe, Gluten free waffles. Bookmark the permalink. Reblogged this on Hope Dream Wait.